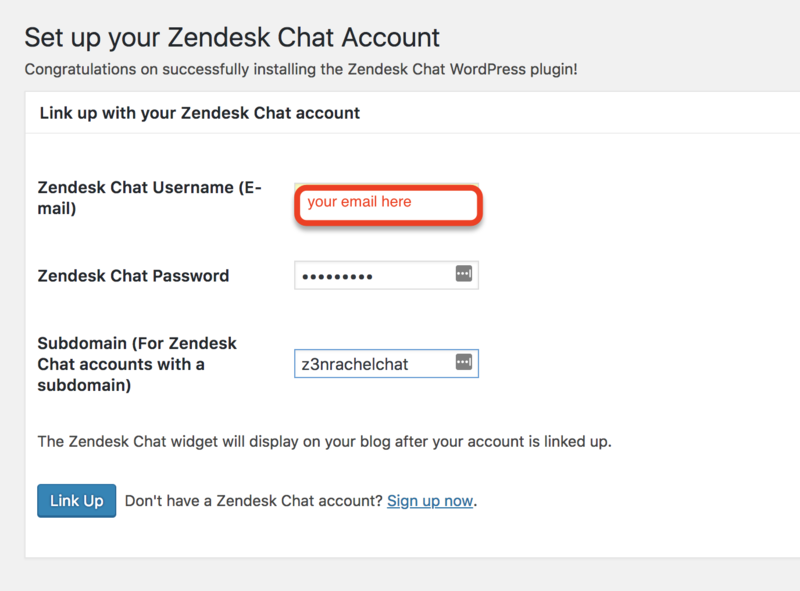 Note: Accounts integrated with Zendesk Support cannot use the Zendesk Chat for WordPress integration as it is only supported for standalone Chat accounts. 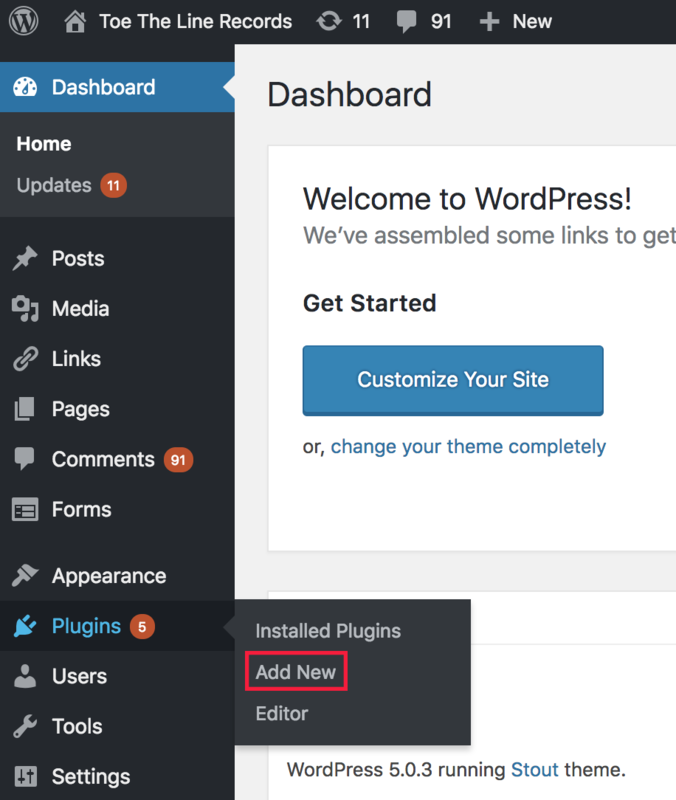 For information on connecting an integrated account, see the Support for Wordpress plugin. If you are unsure what type of account you're using, see Determining your Zendesk Chat account type. 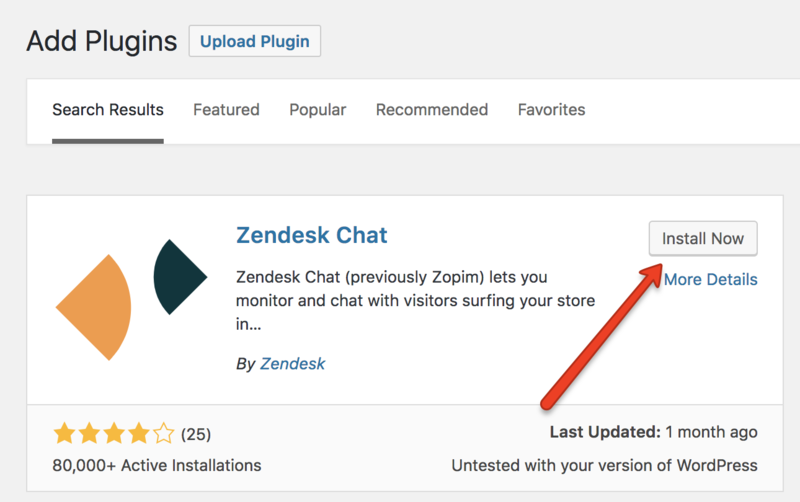 If you use WordPress, follow one of the sets of steps below to add the Zendesk Chat widget to your site. Search for the Zendesk Chat app and click Install Now. After the plugin is installed, click Activate. Select Zendesk Chat from the menu on the left-hand side. When prompted, enter the credentials for your Chat-only account This is usually an email address and password, but if you have a Phase 4 Chat-only account, you'll need to enter your subdomain. Click Link Up to complete the setup process. Paste your Zendesk live chat script in the Footer section, before the </body> tag. Note:To find your embed code, see Adding the Chat widget to your website. I don't have a footer in my edit. I'm using a mystile childtheme. Hello there, i need some help . my website is mp88sport.com. i put zopim script in my site and work proplerly for PC user but doesnt work for mobile. How can i fix this, do i need different kind of script for mobile chat ? I can't load your website and I see you have a support ticket open already. Are you still having the issue with the widget loading on your site using a mobile device? Please email chat@zendesk.com to get assistance with embedding the widget on your site. Is there any other way to embed the widget on my wordpress website? Because my current theme is conflicting with zendesk plugin , if the website is browsed by a mobile device. You can embed the widget using a tag manager or directly in the theme code. However, it most likely will not change the results of the theme you are using and how it conflicts with the widget. I would contact the theme owner to see if this is something they can resolve in the theme itself. We are planning to use chat plugin on fitoutconcepts.com . Is there any way to set open the chat on the click of a button named 'Get Connect' on the site? If we use google to sign into zendesk products how would I login using the plugin since their it's that option. I've changed my zendesk support password as well and tried it with no luck. You will want to use the Wordpress plugin for Zendesk Support and not the one for Chat. The Chat one is the legacy plugin for Chat standalone customers. The Support plugin should offer the functionality of logging in with Google.